Complete your new modern office ethic with a promise to drink plenty of water - You should aim to drink 2 litres every 24 hours. Traditional leather look executive armchair with a modern twist. 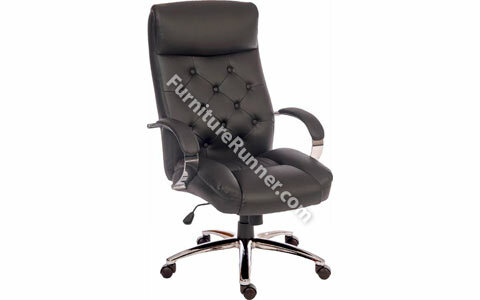 Stylish button tufted backrest and stylish chrome arms and matching base.